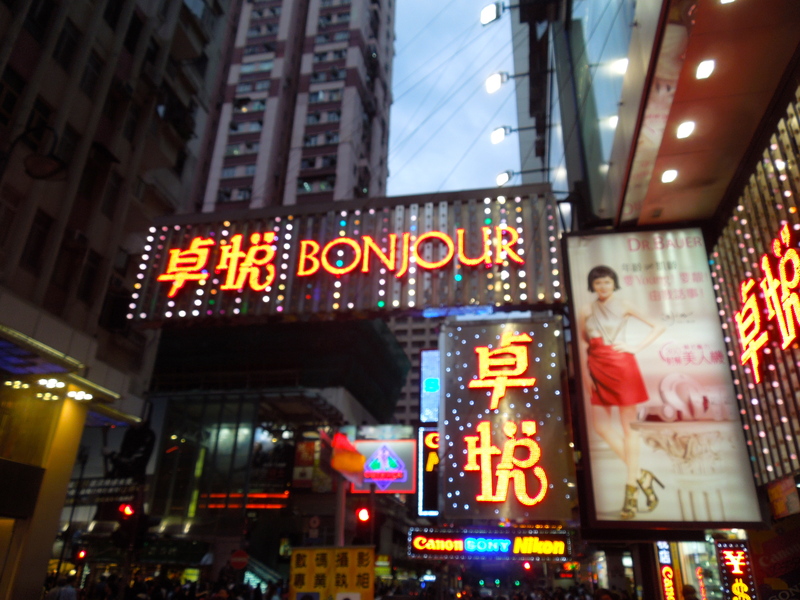 The minute I got sent a swap request to fly to Hong Kong instead of Paris I knew I was going to accept it. Hong Kong has to be one of my favourite cities, and it’ll always be that little bit more special as it was where I went on my very first A380 supy flight. This time around, I had lots of plans. Even though it was a night flight leaving at 4 o’clock in the morning Dubai time, once we arrived there was no time for sleeping and it was straight out to explore the Ladies Market. I’ve been there before, but it’s always fun having a walk around and seeing all of the kitschy things on sale (as well as lots and lots of handbags, of course!). 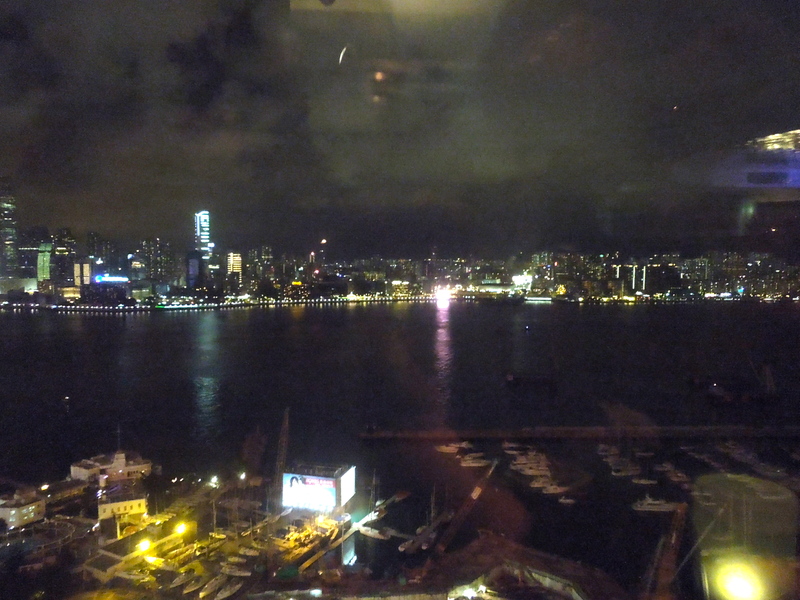 Well hello to you too, Hong Kong! 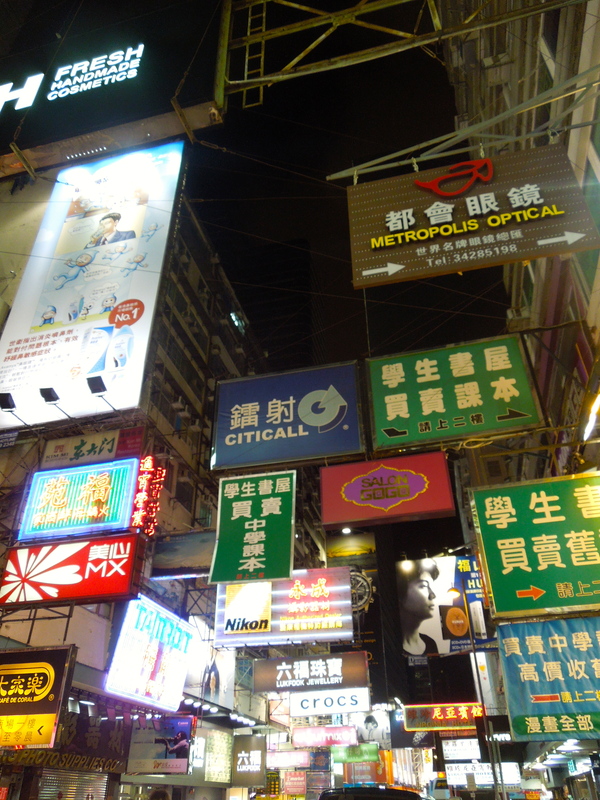 After a lot of browsing, haggling (and possibly a little bit of buying…) we decided it was time for dinner. Our original plan was to go to the Michelin-starred Dim Sum restaurant “Tim Ho Wan”, however the concierge had told us earlier that they stop serving at 9pm. By this time it was getting late so we popped into a little restaurant just off the side of the Ladies Market. 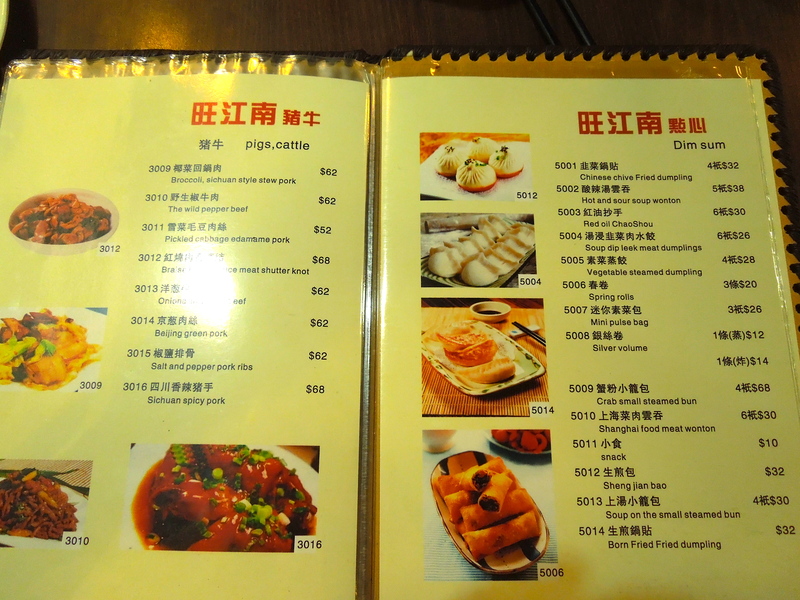 We chanced our luck and ordered some very interesting sounding things off the menu…such as “Born Fried Fried Dumpling”! Pointing at the pictures definitely helped, and they were all very delicious and freshly made! 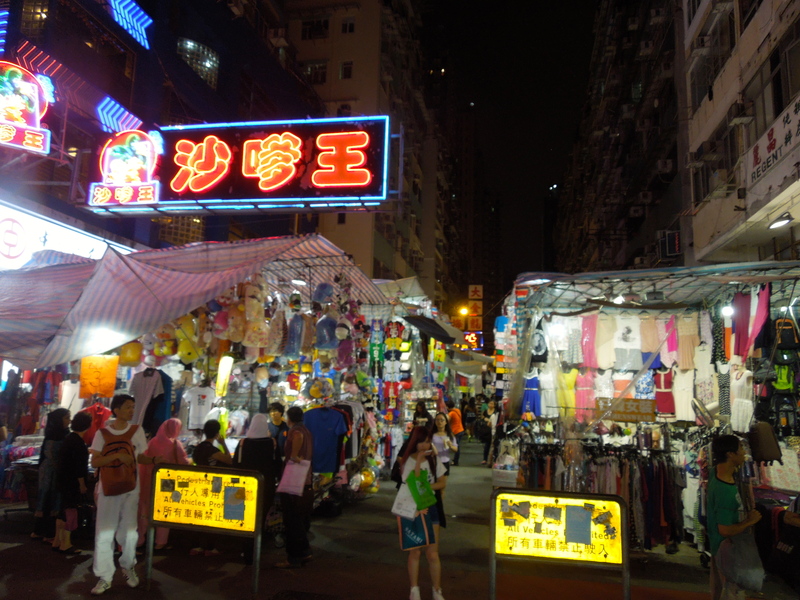 After dinner we had another quick browse around the market on our way back to the MTR, then headed back to the hotel. By this time we were all practically falling asleep standing up, so decided just to head up to the rooftop bar to have one quick look at the amazing view before going straight to bed. However…once we arrived, the atmosphere was incredible, with a live band playing and such great views over the city that we decided to stay for a drink! We got a seat by the window and sat and chatted for a while until I really was about to fall asleep in my chair! The next morning we had arranged to meet early to get the MTR and then the cable car up to see the Big Buddha. I was almost ready to go and then upon opening the curtains discovered that not only was it absolutely pouring with rain, the was such a thick layer of fog that I couldn’t see anything at all outside! The last few hours of the layover were spent checking out the new roster and having a quick snooze before the flight home! And to finish off the month, a Dhaka turnaround. Next Post Mum comes to stay! Was just wondering what it means when you get scheduled leave? Does this come out of your annual holiday? Or just days off?? Thanks! Hi there! We get 30 days annual leave and you can choose how to break it up (i.e. in blocks of 5 days, 10 days, etc) so when I have leave that’s just part of the 30 days a year. Hi….you are a emirates flight attends right??? Hi there, you can find all the requirements on the Emirates website 🙂 Thanks for reading! Thank you very much for sharing all those hi-rs photos. I’m shure, most of us all would like to see theese places in natural, not only on our screens.